As one of the most popular boroughs, Manhattan is the epicenter of New York. It is the hub of cultural and entertainment activities, so it’s no wonder why many choose to move here. Manhattan attracts all generation, and it may surprise you that it is very suitable for raising your family. There are many excellent family neighborhoods in Manhattan. You just need to choose the perfect one that fulfills all yours and the needs of your family. Manhattan is a mystical place that will charm you on the first sight. Here you feel like you are in the center of the universe, so no wonder why many choose it as a place to be their new home. New York is a true cultural melting pot, and the Manhattan is its center. People from all around the world live in this borough, so you always have the opportunity to experience a completely new culture, food, or way of life. There’s always something going on in Manhattan. It is the home of many art museums and galleries such as the Metropolitan Museum of Art, and many historical sites. Many of the best must-see attractions in New York are in Manhattan, so there’s never a dull day in this amazing borough. New York City offers many career opportunities, and the major companies are located right here on Manhattan. If you are working in business, medicine, art, fashion, or entertainment you can easily find employment. 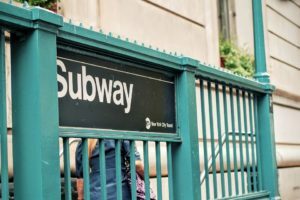 Living and working on Manhattan will save you a lot of time in commuting to work. Like the island itself, family neighborhoods in this area have a great subway connection to all others part of the town. All trains and buses are trespassing through Manhattan. That means that you can arrive at another borough much quicker than driving through the traffic jams of New York. The best schools, hospitals, sports center are also located in the proximity of every neighborhood, and so is the business district. There isn’t long commute which is the main advantage of Manhattan. The biggest obstacle for living in Manhattan is its price tag. Manhattan is a dream of every expat in New York, but everyone can’t afford its living costs. The downtown of every city is more expensive than its more remote parts, but Manhattan requires a big monthly income. The ones that live there will say that it worths every penny. Still, before you begin a search for the best family neighborhoods in Manhattan, make sure that you can realistically afford living costs. When you are relocating with family to Manhattan, you need to consider a lot of things. 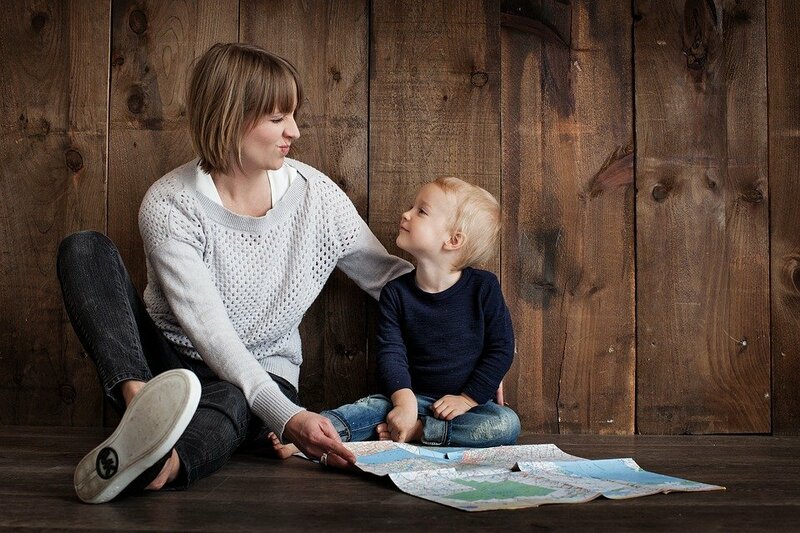 The needs of the family with children are very different than the needs of individual moving to NYC. The neighborhood that you choose has to have a great school district, low crime rate, less dense traffic and a number of parks and playgrounds. These family neighborhoods in Manhattan have all of these features, and more. Battery Park City should be number one on your list of potential family neighborhoods in Manhattan. 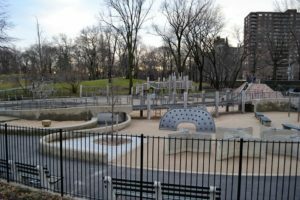 It is in the southern point of Manhattan and provides high-standard public and private schools, great commute times for parents and plenty of green open space for all family to enjoy it. It is surrounded with Battery Park, West Thames Park, Robert Wagner Jr. Park and many other amazing parks. Museum of Jewish Heritage, The Battery Urban Farm, and the Brookfield Place are also in this neighborhood, as well as the many art galleries. After Manhattan Movers NYC help you to settle down in this neighborhood, start exploring its many charms. It is one of the best neighborhoods to raise a family in New York, so all of your family members will surely be happy to move here. Upper West Side is a picture of the golden age of New York. Beside rich history, this neighborhood can boost with an excellent school district, and one of the lowest crime rates in the Big Apple. Some of the world’s best museums are in the proximity, like the American Museum of Natural History. Amazing Central Park and all of its fantastic entertainment opportunities and fun activities are only a few blocks away. Beautiful Riverside Park is also part of the Upper West Side. With its numerous historical monuments and fun, modern playgrounds for your kid’s enjoyment. This neighborhood has always been one of the best family neighborhoods in Manhattan, and it still has that reputation. When talking about best family neighborhoods in Manhattan, the Tribeca is at the very top of the list. Situated in lower Manhattan, this neighborhood sits adjacent to the Hudson River. Over time this area has become an excellent place for raising a family. Schools in the area are very good, and there are a lot of other amenities that can make it a great place to live. Variety of parks, kid-friendly businesses, sports activity, and modern playground are just some of the advantages of this neighborhood. While the name of this neighborhoods sounds rather sinister, don’t let if full you – it is actually one of the best family neighborhoods in Manhattan. 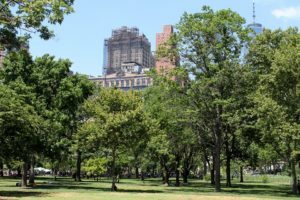 Traditionally, this area was a working-class neighborhood, but with the great development, it has transformed into one of the best family neighborhoods in Manhattan. It is very safe, has great school districts and many interesting kid-friendly amenities while it still provides more affordable housing options than other neighborhoods in the city. In the past, Harlem was notorious as the bad part of New York. One that wasn’t suitable for families at all. Nowadays, the story of Harlem is very different. It is a true example of how a neighborhood can bloom and transform from the shady to very desirable part of the town. Due to development, Harlem is quickly becoming one of the most popular places in the city to raise a family. One of its many charms is the brownstones and other single-family homes with enough space to raise a few kids. It also has a good reputation when it comes to schools and local activities for kids to enjoy. While its transformation hasn’t been easy, Harlem now represents the real gem of the family neighborhoods in Manhattan, and one of the most desirable places to live in New York. Whichever neighborhood you choose, make sure, to begin with, the moving preparations as soon as possible as that will make your relocation easier. And by hiring a professional moving company with integrity, the whole process will be even less stressful and less complicated.